I receive a lot of messages from people who are looking for work from home. It seems that a good number of the messages I receive are people who are interested in work at home jobs in the medical field. This is a large industry and there are many opportunities to be a part of it while having the flexibility and freedom of working from your home office. Some common medical jobs which are often worked from home include medical coding, telephone triage for nurses and medical transcription. 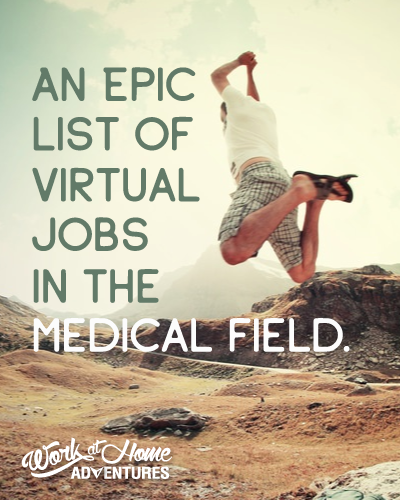 Of course, there are many other job types available to work from home in the medical field. 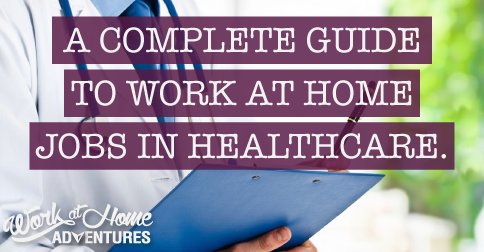 Here are some great resources where you can find work at home jobs in the medical field. Here are some great places to check if you are in search of a work at home job in Medical Transcription. Rat Race Rebellion has listed dozens of companies that hire medical transcriptionists and coders in their directory. Real Ways To Earn Money Online also has a directory where you can find a list of companies that hire work at home transcriptionists for the medical field and a list of medical jobs including medical coders. MTStars is an online forum that if often updated with current openings in the medical transcription field. MTJobs is a job board dedicated to Medical Transcription. Not all jobs listed are work from home- but many are, so look closely. If you have an expertise in anything- you can definitely make a living working from home as a writer. When you have a knowledge and experience in a subject that most others don’t- it increases your value as a writer tremendously. Here are a few places that have hired writers in the medical industry. These may give you a good place to start your search for work at home jobs in the medical field as a writer. It is pretty common to find work from home job openings for Pharmacy Careers. The following are places to check if you are in search of a work at home job in the medical field of Pharmacy and Pharmaceutical Sales. Working from home in the medical field most usually requires that you have had hands on experience in a doctors office, hospital or somewhere that qualifies you to have had experience in your industry. If you are currently working the medical health industry and looking to begin a work from home career, the above lists should is a useful guide to help your search begin. Don’t limit yourself to just those listed though- many companies also list their job openings on sites like Indeed and other popular job search engines. Great info, Miranda! I know a lot of people do look for transcription jobs. Thanks for sharing Miranda. Will share this blog post with my audience.